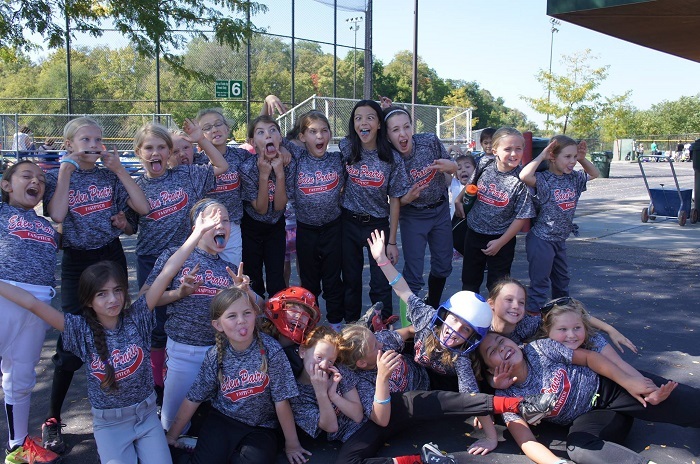 The Eden Prairie Fastpitch Association is a non-profit, volunteer managed youth sports organization dedicated to promoting excellence in girls’ fastpitch softball. The goal is to develop and teach the fundamentals of softball in a healthy, safe, and positive environment. Recognizing that individuals will have different skills and needs, a positive environment will be created to foster contribution, accomplishment, confidence and a feeling of self-worth in all players. Coaches will strive to see that each participant will be treated fairly and know they are an important part of the team and that their contribution is valued. We want to grow and develop the athletes in the community by providing the right level of training and competition for each athlete. By offering and delivering a positive fastpitch softball experience for our players at ever age level, we believe we can make a difference with in the lives of our athletes and the community. Provide effective, high quality softball training for players and coaches at all levels, by providing opportunities to play competitively and developing their athletic skills to advance to another level. Provide a structured program that is cooperative with and respected by other community programs. Create a fun and entertaining environment for the players, families, coaches and community. Develop players and teams that are able to compete at a national level. Encourage and foster player participation for the full length of a player’s youth sports career. Summer season is from mid-April to July. 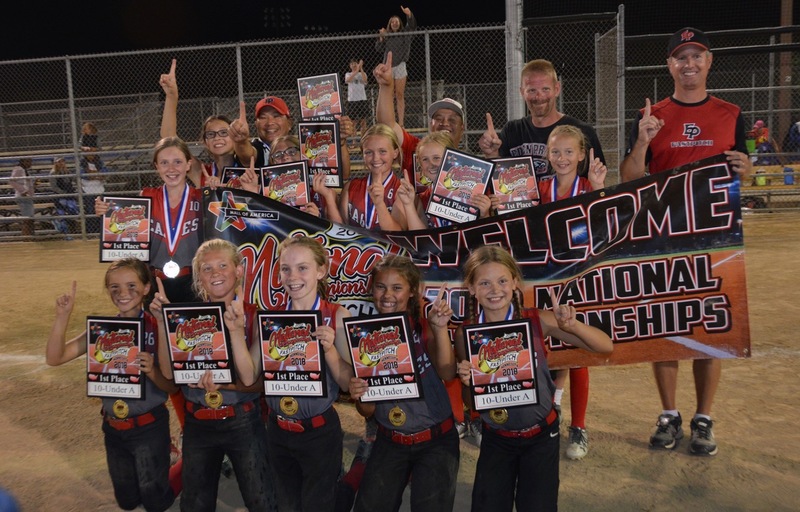 During the summer season, the EP Fastpitch 8U, 10U, and 12U teams play in the Big West League. The fall season is Aug-Sept and is played in the Minnesota Softball League. The emphasis at the 8U, 10U and 12U levels is player development. Athletes will focus on learning the fundamentals of the game, playing as a team, and having fun. Teams at the older age levels also stress fundamentals but add more game strategy and advanced skills. Teams typically have 10-14 athletes. An evaluation process for Summer teams is held in the late spring timeframe. Players are placed on teams based on evaluations and other criteria (such as key skills i.e. pitching/catching). All players must register and complete the Player Evaluations at their current age level (the youngest age group they qualify for). A player may be asked to play up (a higher age division) based on the position that is determined by the Board to be needed for the current season. Volunteer duties are managed by our Concessions Manager. For more detailed information, please visit our Volunteering webpage (here). Registration is completed online at epfastpitch.com for both Summer and Fall seasons. It is the player's and parent's responsibility to seek out registration information – watch for announcements on our Facebook page or on website at www.epfastpitch.com. All coaches for the 8U, 10U and 12U age divisions are volunteer coaches, and often are parents of a player on their team. The EPFPA requires coaches to complete a background check and a concussion awareness program. Prior to the start of the season, coaches participate in a coaches clinic provided by the EPFPA. Head coaches are ACE certified. During the summer season, EP Fastpitch Picture Day will allow families to purchase individual and team photographs by a professional sports photography organization. We are required to call off practices and games when threatening or poor weather is in the area. League administrators make every attempt to provide notification by 4 pm. The City of Eden Prairie will ultimately make the call for field use by 3 pm. Wet fields become a hazard to players and are difficult to maintain. Coaches/Team managers are notified by the league administrators and typically manage a call list to notify parents. 2017 - Eden Prairie Fastpitch Association has joined other community fastpitch softball associations in the Big West League, a division of Minnesota Softball. 2016 - Eden Prairie Fastpitch Association will no longer particpate in an "In-House" league and will participate only in a "Travel" league, eliminating any future need to distinguish league play in terms of "In-House" softball or "Travel" softball.